Any additions? What did you recess to? 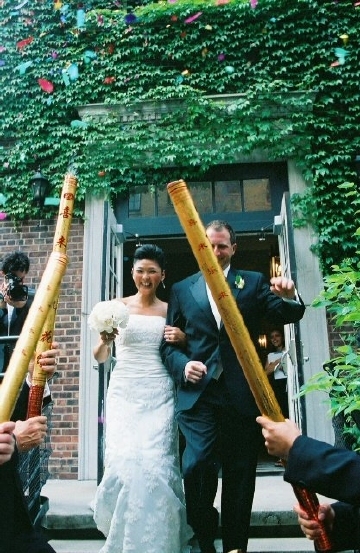 As I try and recover from post-vacation trauma (you know, the full voicemail, the full inbox, the seemingly endless to-do list), I've been ruminating on my favorite of all wedding traditions- the Horah. It's just so much fun. It causes a lot of my inter-faith couples stress though because they are often stressed that people who don't know HOW to participate won't, thus making it a bit weird. I thought this video was pretty entertaining in terms of what a good Horah needs- some strong arms to lift the chairs. I often get asked about great bands, and obviously, everyone's musical tastes vary, but I must tell you that about a year ago, we worked with a band that no one who was at the wedding could ever stop talking about. Actually, Mayra was stuck at another event and every time she would see anyone who worked on that wedding with me, she would get so angry because they would start every conversation out with "How amazing was that band????" That Band is One Nation and they are simply the best R & B/ Soul/ Pop cover band that I've ever heard. Well, I so thought it would be so much fun to see them with my friends when I'm not working, but they hadn't been playing anywhere. Not the case anymore! I CANNOT even begin to tell you how cool it was that so many people were really into our post about Stevie last week and great first dance wedding songs! Always by Atlantic Star (To You a Favor) I LOVE THAT SONG!!!! 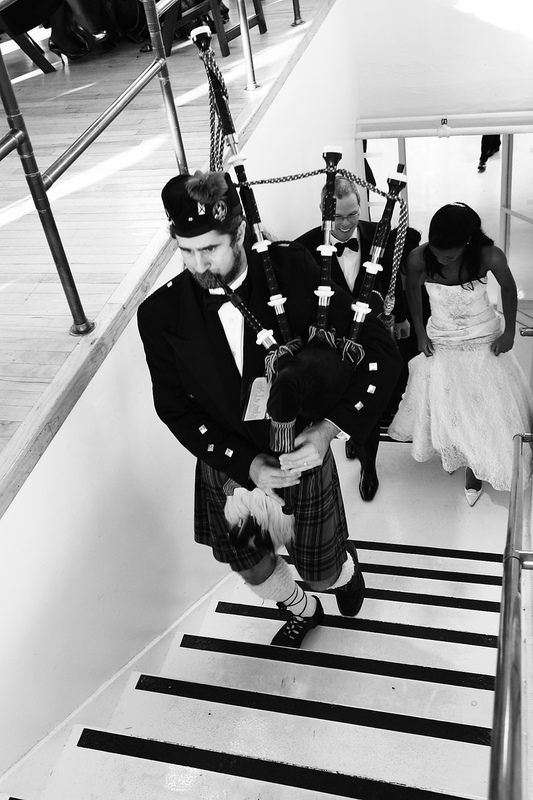 The A: We actually JUST had the pleasure of having a bagpiper at a wedding this fall. In general, I think it's great to have them at a point where the music will accent, but not dominate- say, for the processional at the ceremony OR as we did this fall, after the ceremony where the bagpiper greeted the guests outside the church. We then had him come to the cermony site and procede the bride and groom before they made their big entrance to their party! Generally speaking these are the kinds of decisions that you shouldn't over stress in term of things to ask someone. If they are advertising themselves as a professional, you should confirm their ability to play any specific requests that you might have, ask for examples of places or clients that they've performed for and ask if you can swing by any of their gigs. If you are particularly nervous about someone not showing up, let's say, then you can ask them for references, but generally, with a small deposit in place and the balance on hold until they arrive, this kind of vendor is quite reliable. With music such as Bagpipers, since it isn't always everyone's cup of tea, I would suggest that you never make it the focus of the cocktail hour, for example. It creates a beautiful, showy impact, but not necessarily an atmosphere conducive to cocktail hour. And in saying that I hope I haven't offended any pipers out there! Hey Mr. DJ, what am I paying for? The A: Hi Christine, I think this is a really good question, but I don't know if you're going to like my answer! Professional DJ's run anywhere from $1500 to $5000 (I know, it sounds crazy, but it's true!) and they are often worth every penny. They typically are providing the speakers, sometimes some lighting and a microphone for announcements as well as their music. If your venue has a sound system that they can plug into you might be able to get some of these prices lower by letting them know that they don't need to cart their equipment all over the place. However, generally you are getting pretty reasonable quotes for the NY area- even in New Paltz. In terms of whether you go and hire a kid, I say absolutely NOT! If you really don't want to spend that much money, you are MUCH better off calling a local lighting and AV company, renting a sound system where you can plug in an ipod and getting a mic for announcements. You would need to assign a friend or relative to act as MC for the evening and to gauge your playlists. This is more foolproof than some local teen, but not necessarily less stressful in the process. HOWEVER, here is MY ULTIMATE advice: THERE IS NOTHING LIKE A PROFESSIONAL DJ/ WEDDING DJ. Some reasonably priced suggestions I can offer to you would be The Pros DJs- www.thepros.com, and this great guy Donnie R. who is really reasonable in his prices and VERY reliable- he can be reached at donqdeedee@aol.com. They are both less than that particular price and we've had good experiences with them.